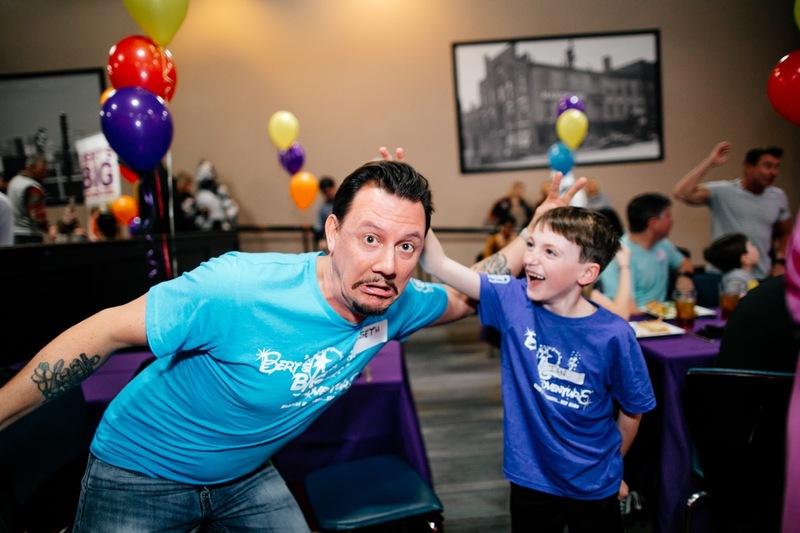 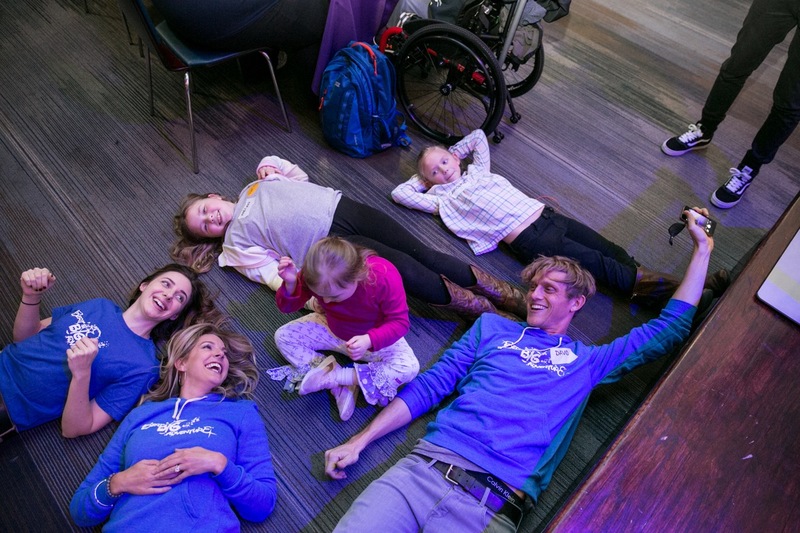 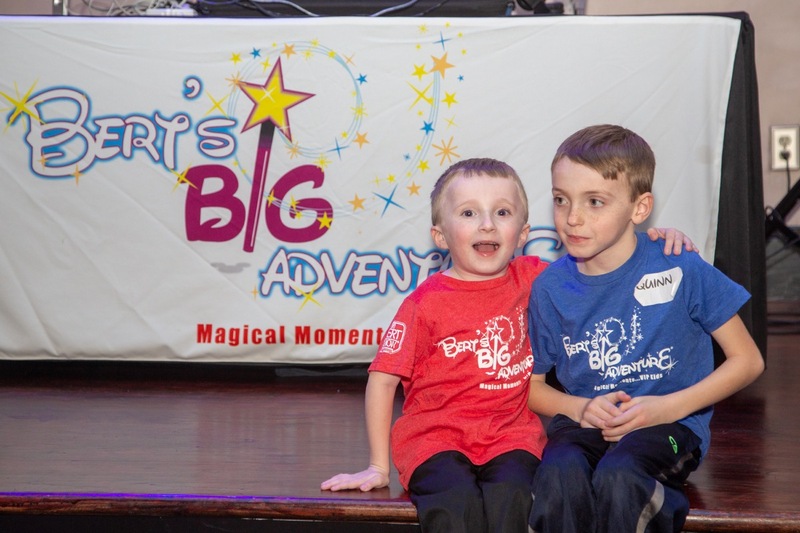 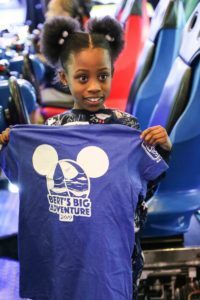 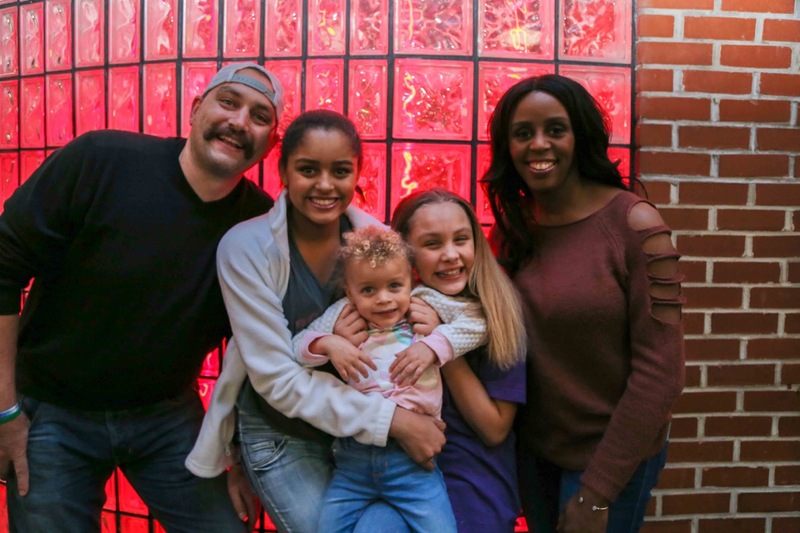 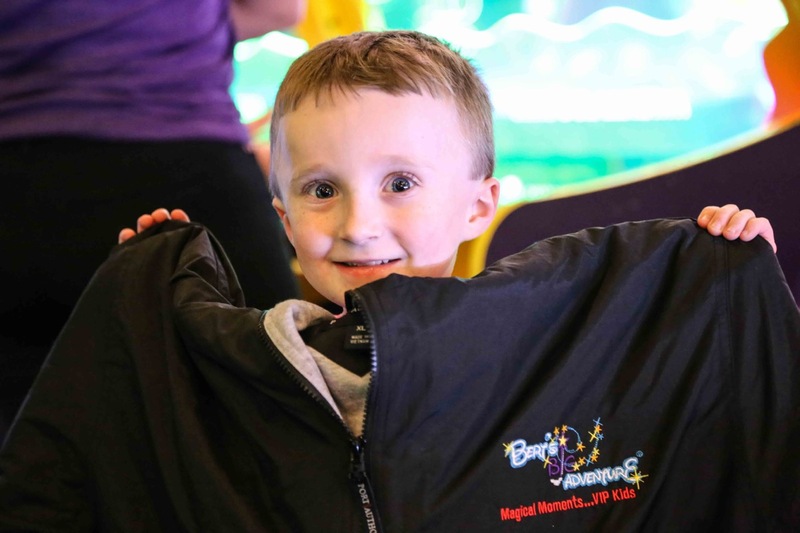 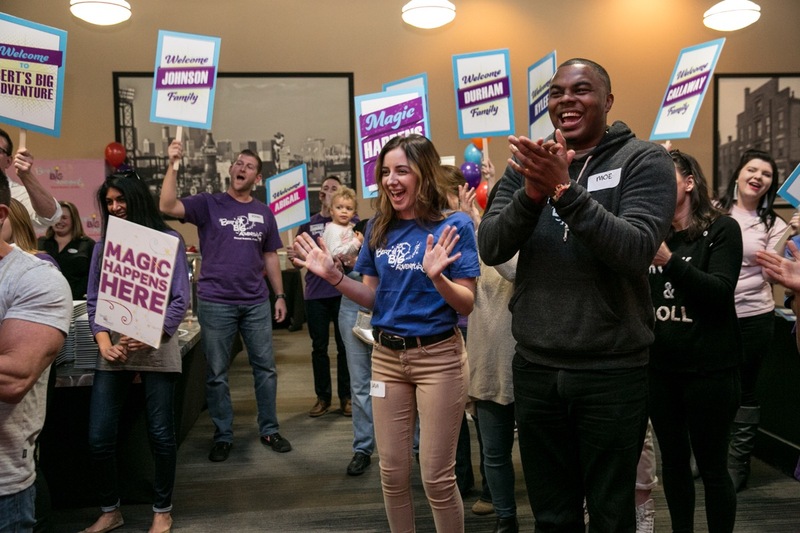 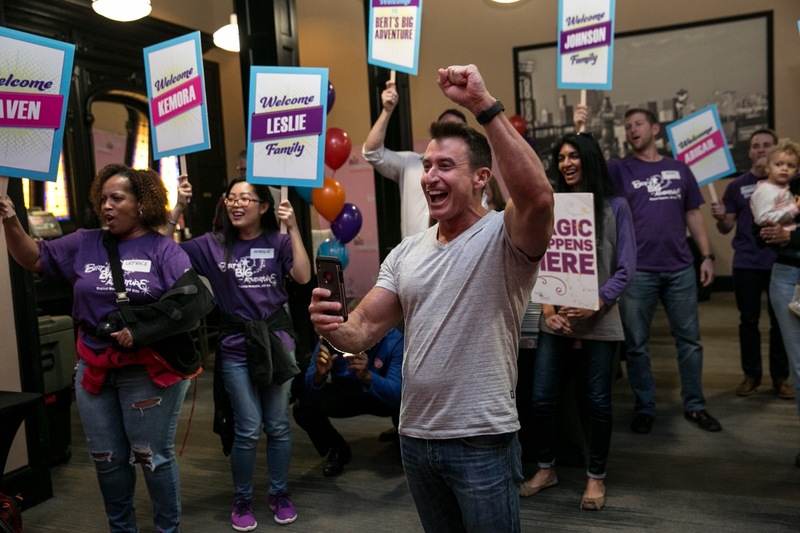 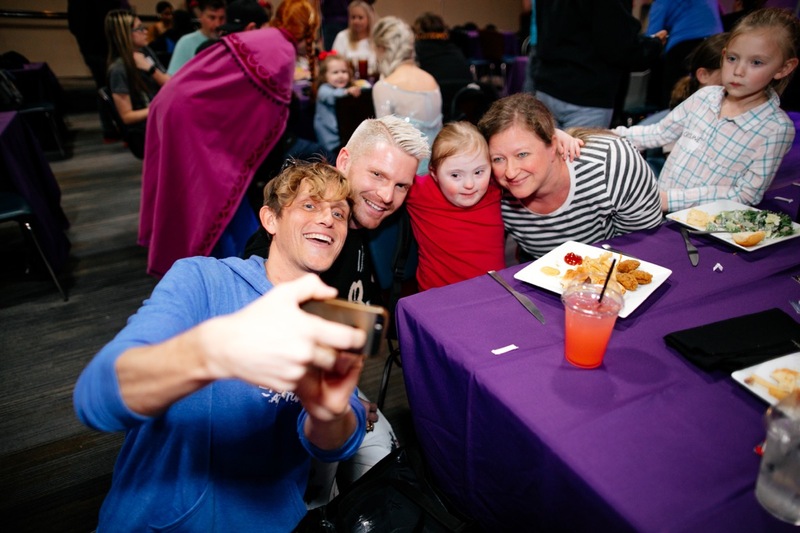 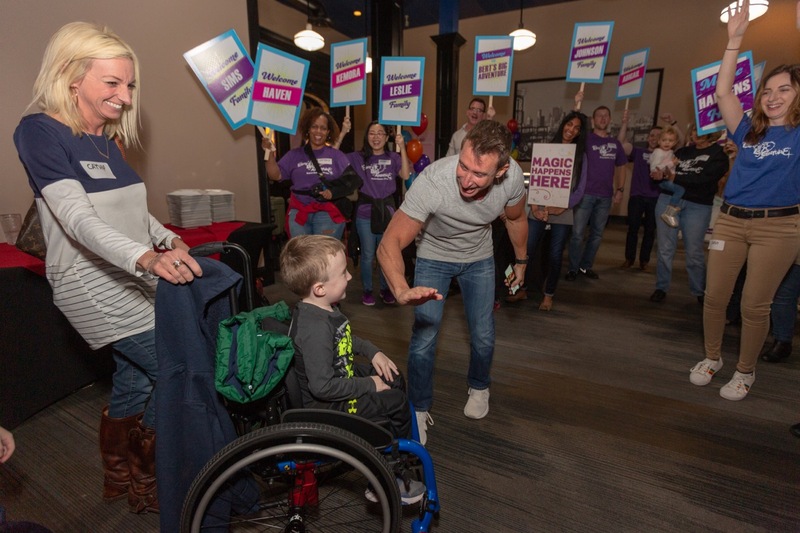 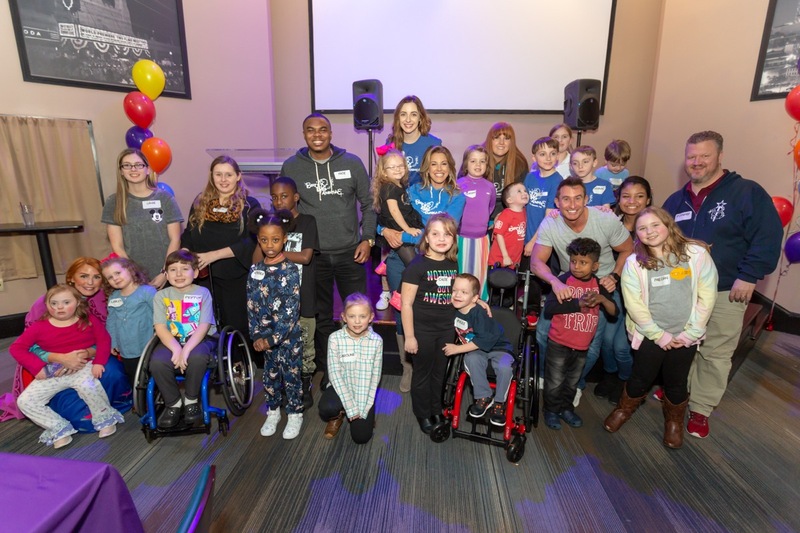 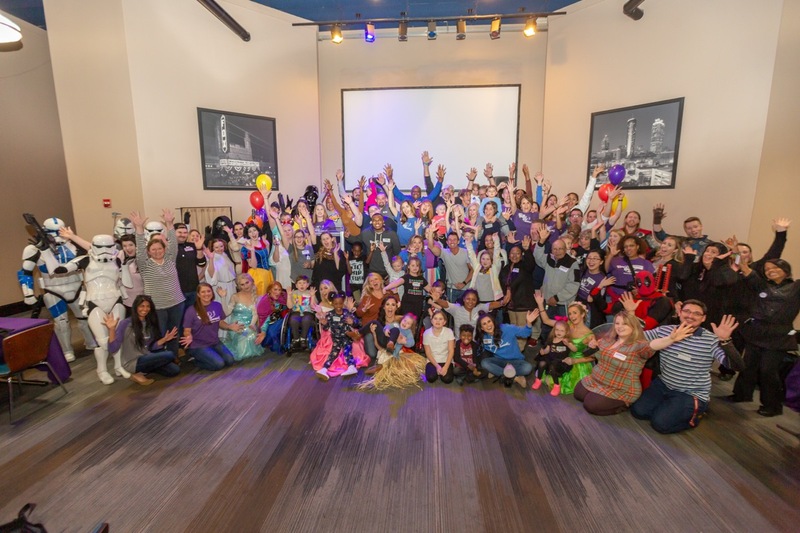 This week the 2019 Bert’s Big Adventure Atlanta-area families met up for the first time since we surprised them with the happy news that they would be going to Walt Disney World® with us in February! 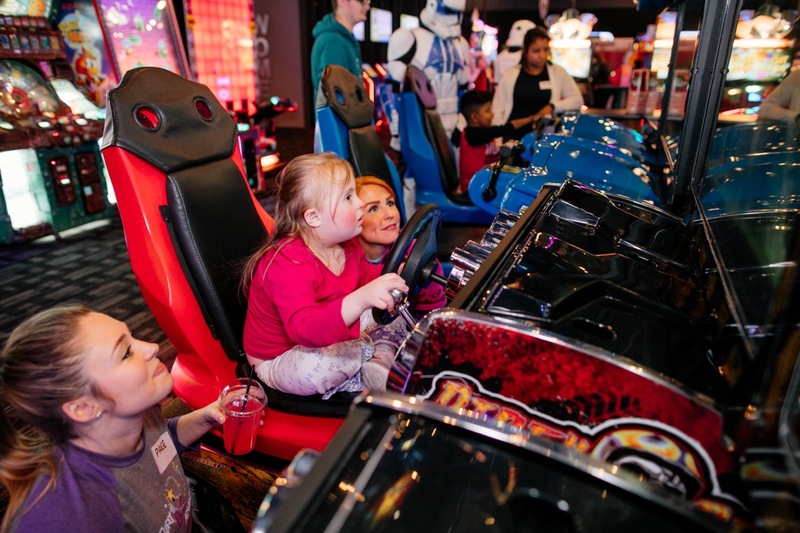 We gathered together at Dave & Buster’s in Marietta for the pre-trip orientation on Wednesday, January 9th. 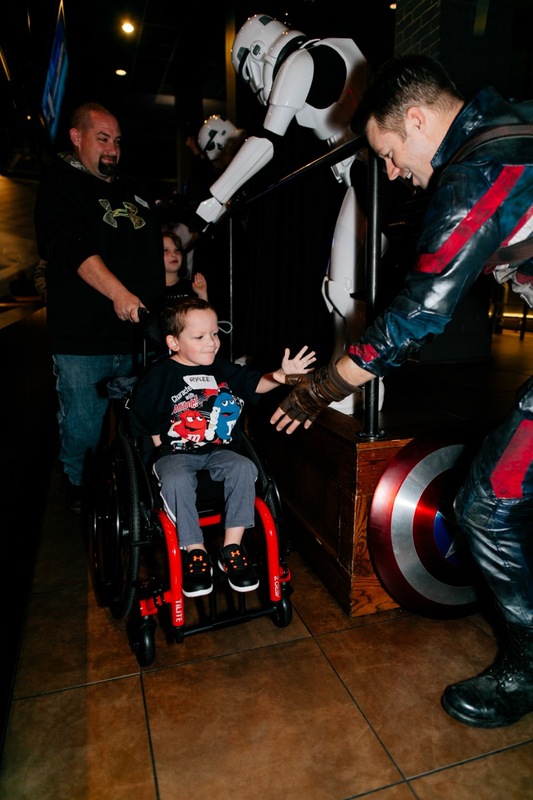 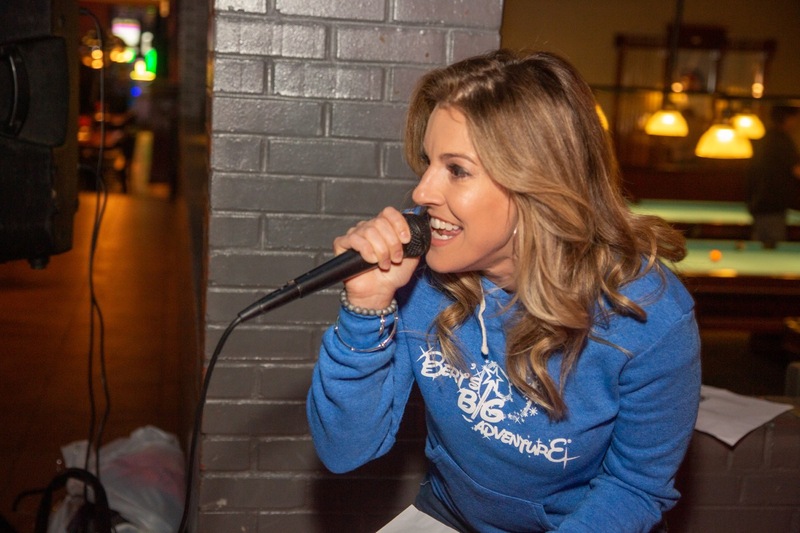 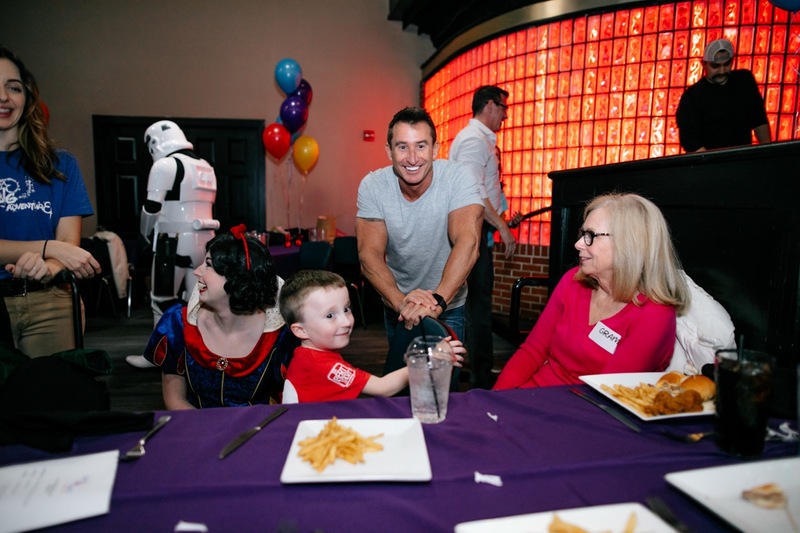 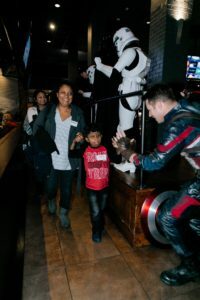 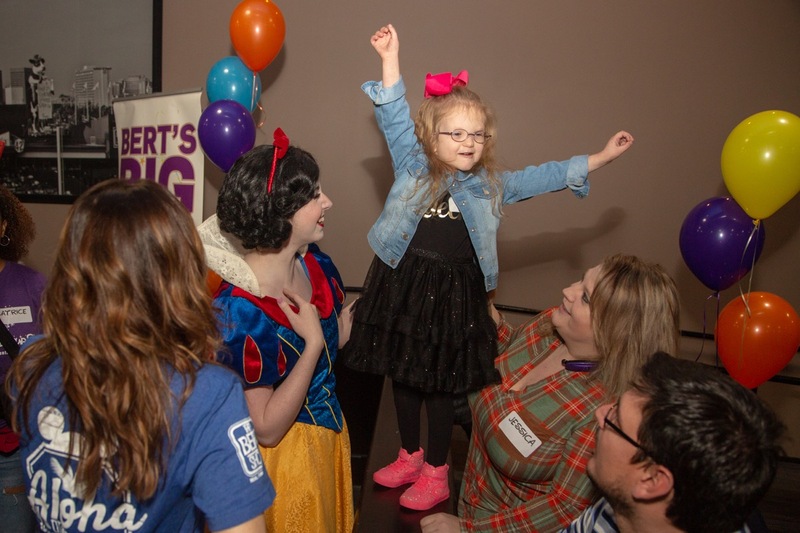 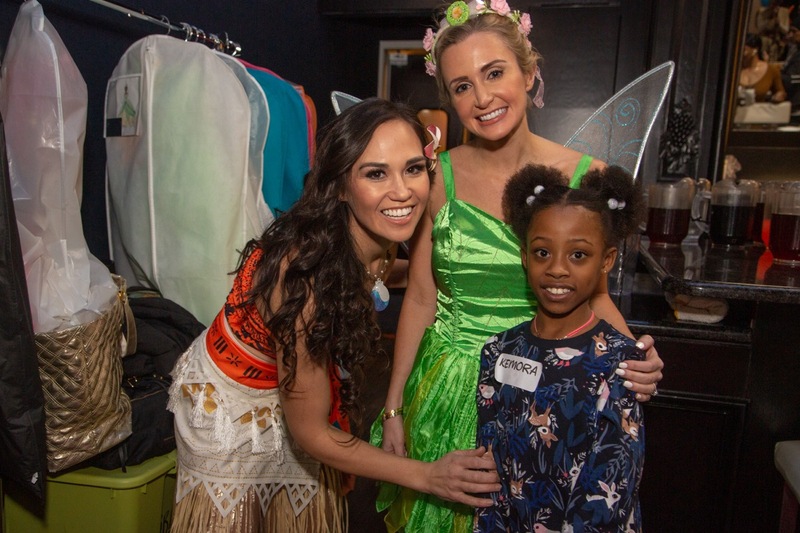 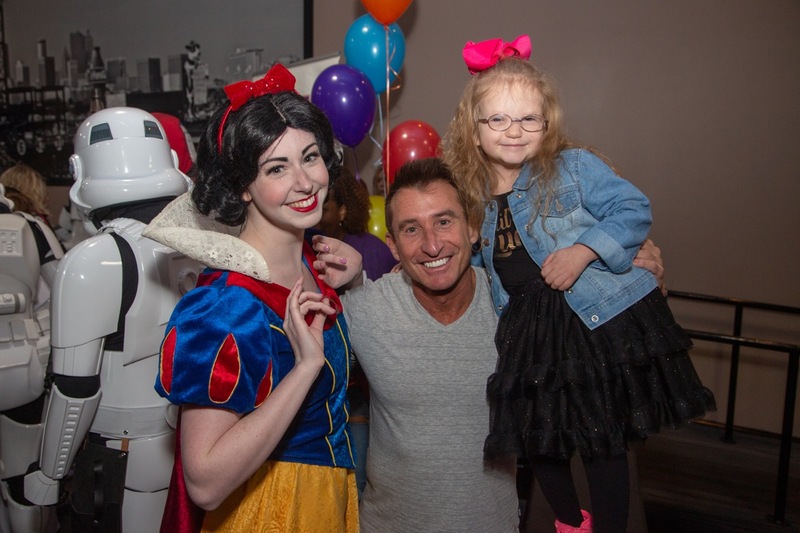 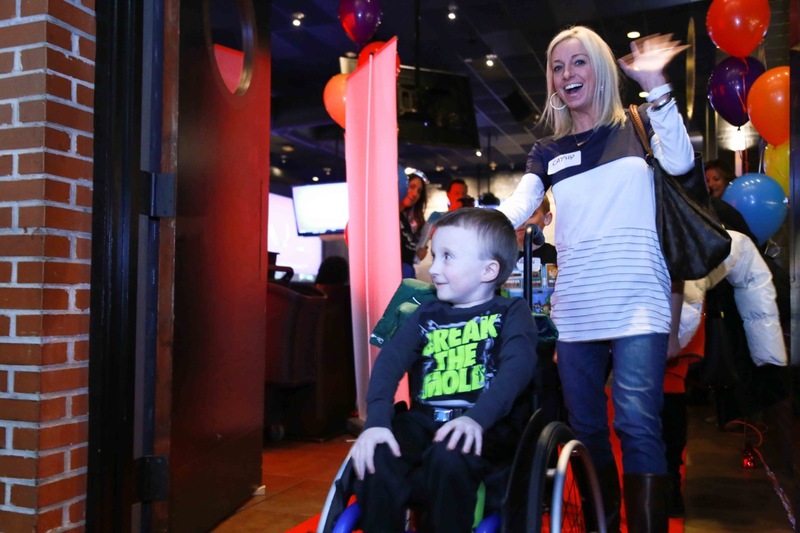 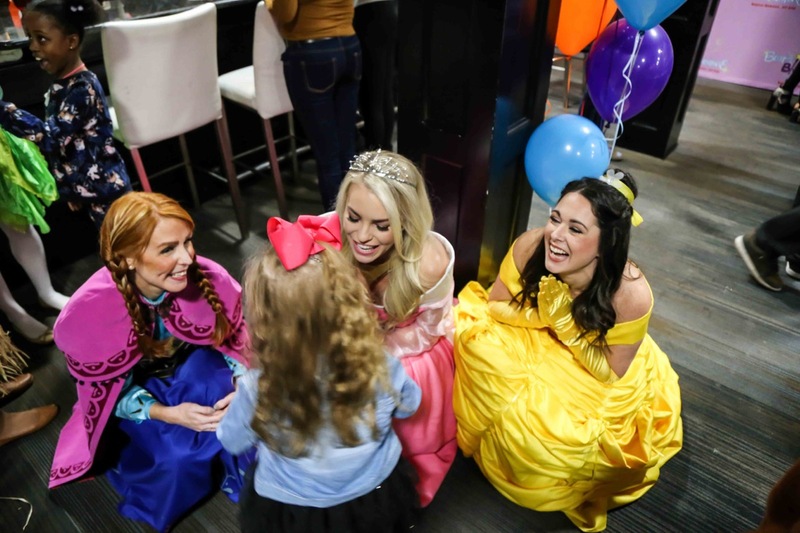 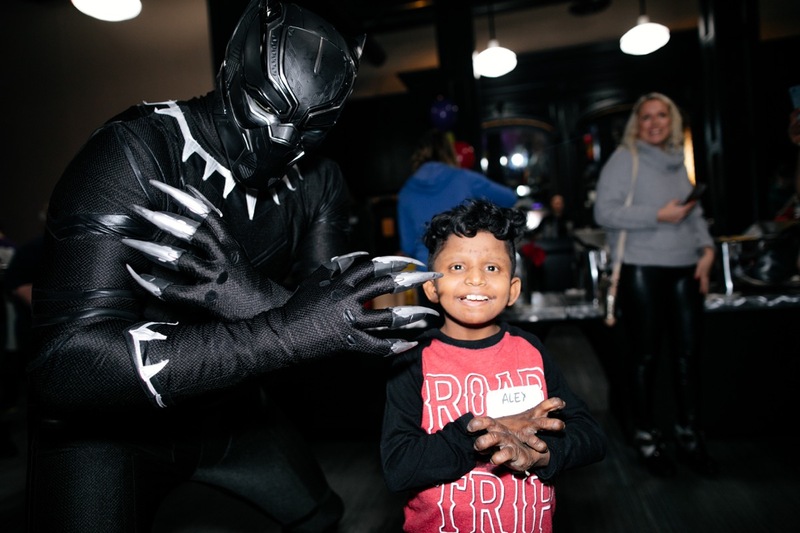 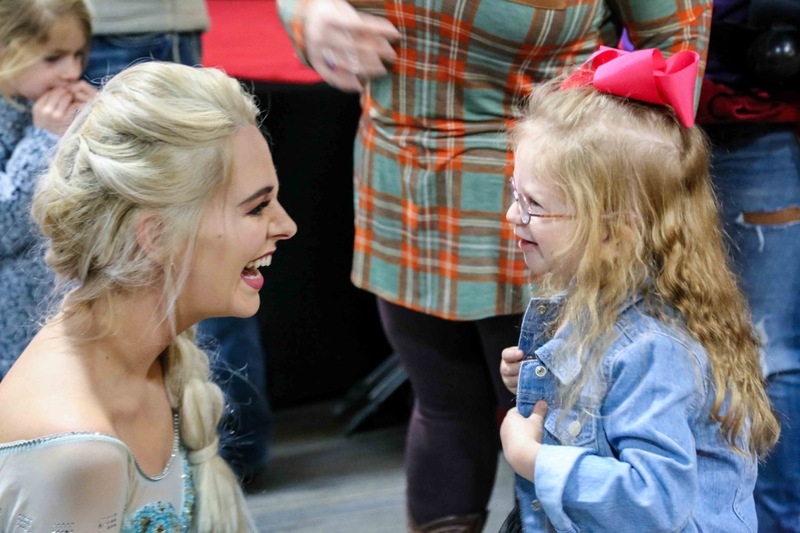 This memorable night began with each child being individually announced by The Bert Show’s Kristin Klingshirn as they entered our private VIP room via a red carpet and a tunnel of costumed Disney characters! 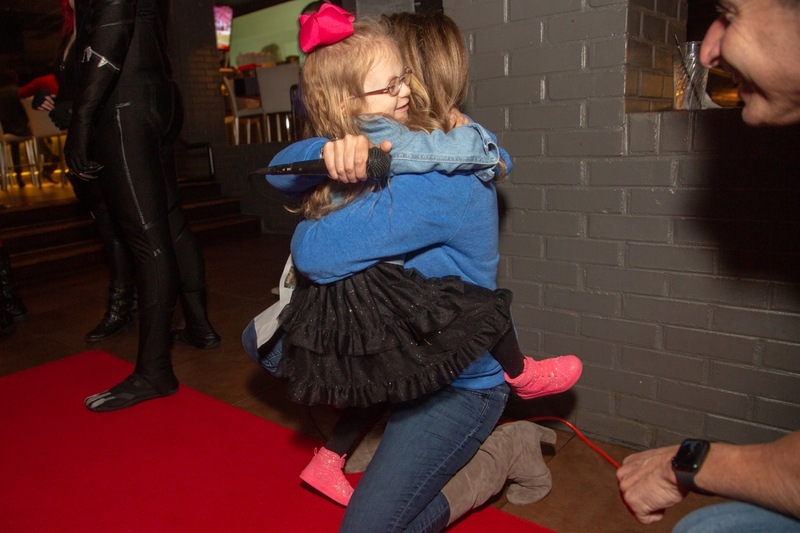 After the warm welcome, the kiddos and their families greeted each other and excitedly caught up with one another! 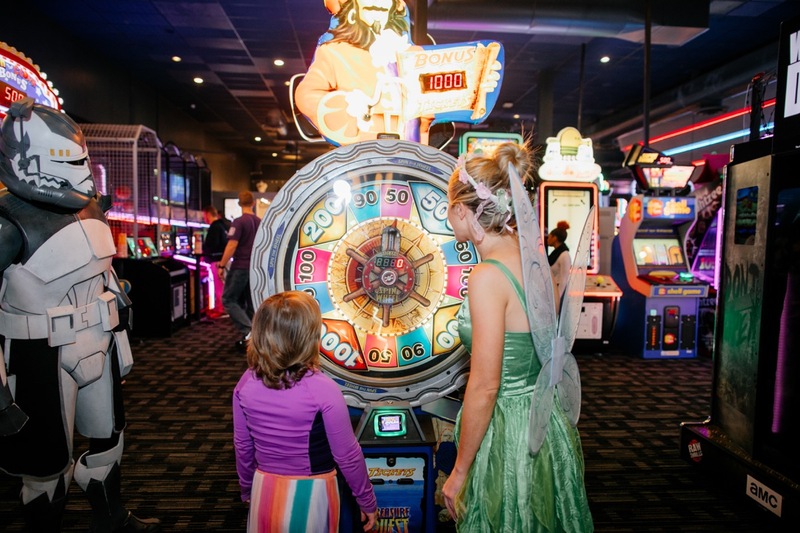 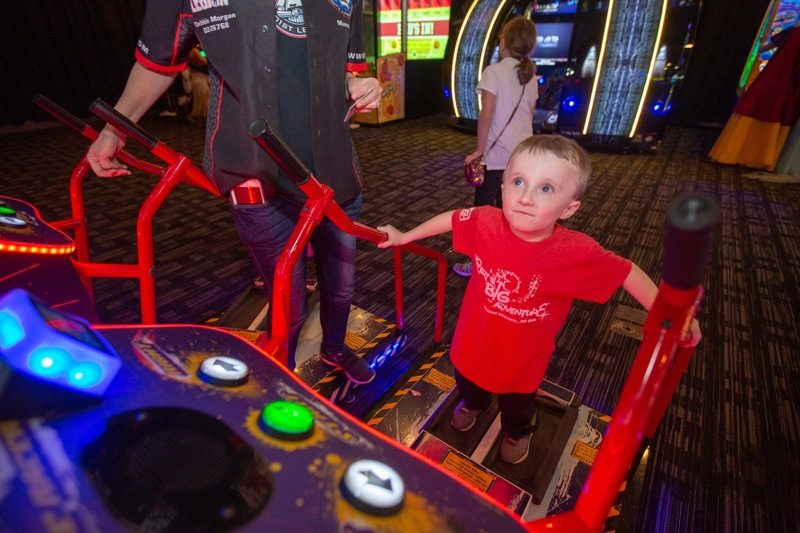 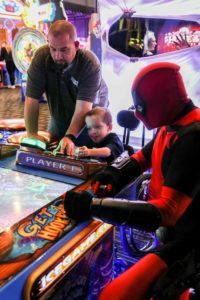 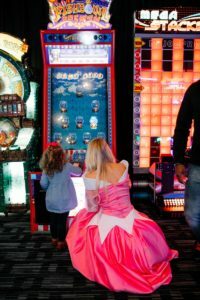 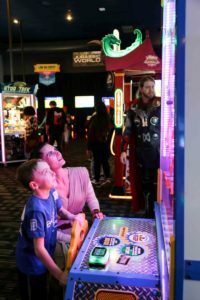 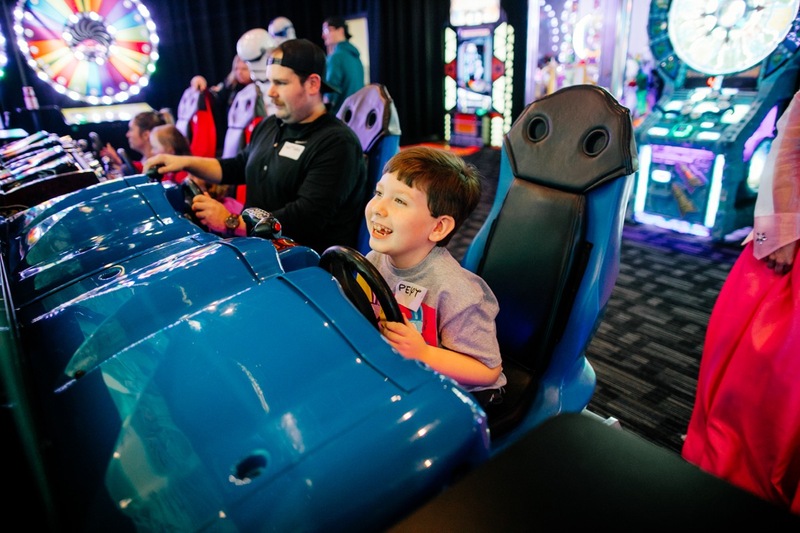 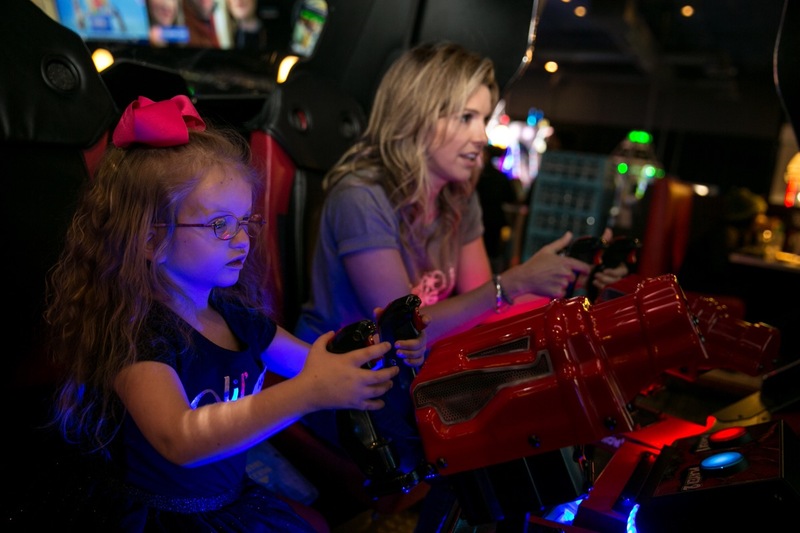 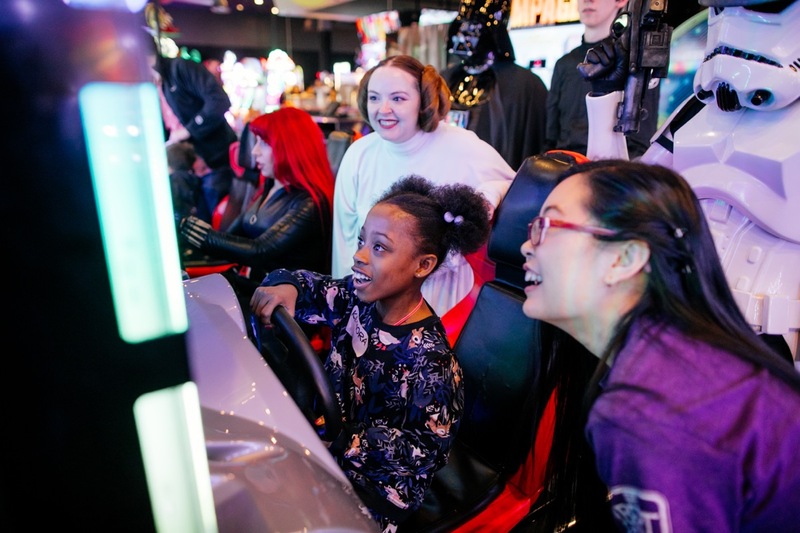 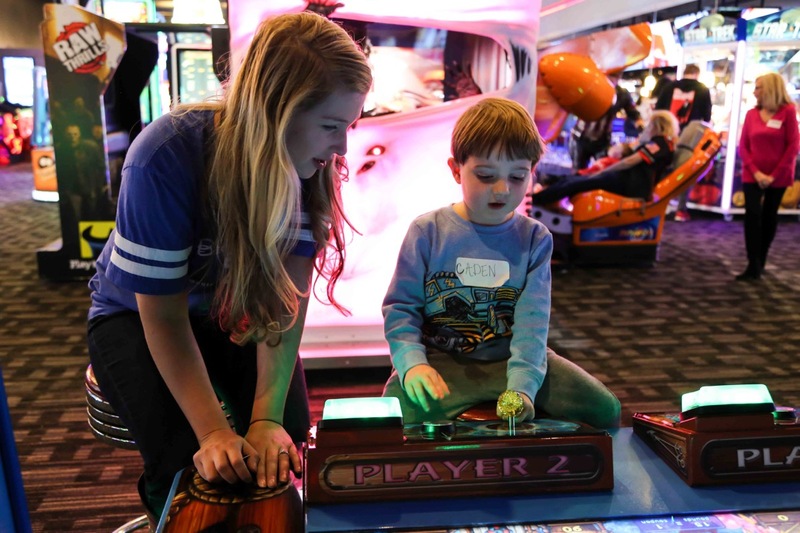 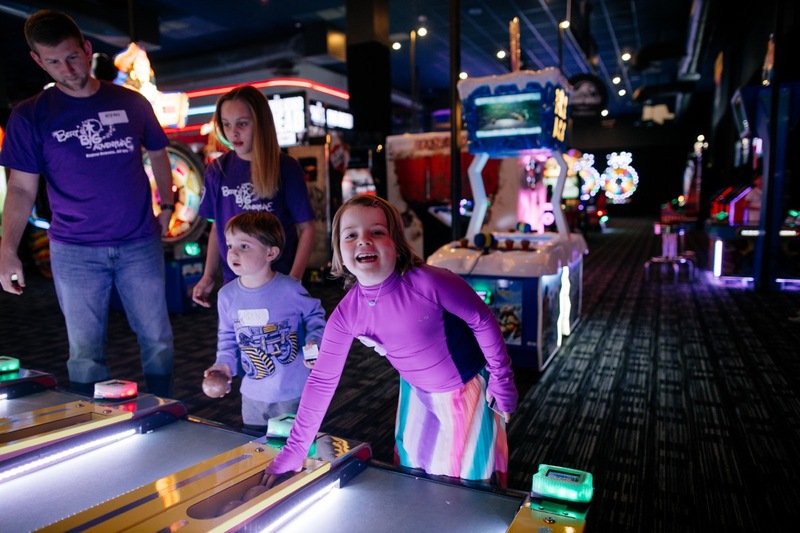 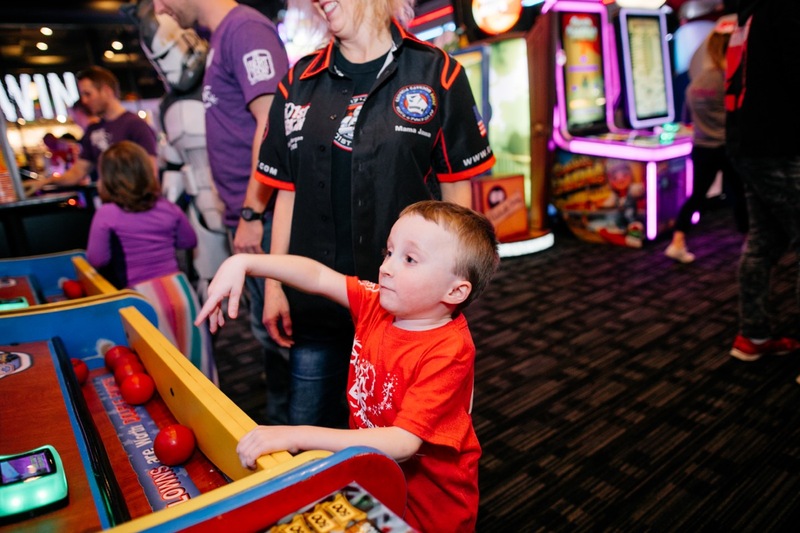 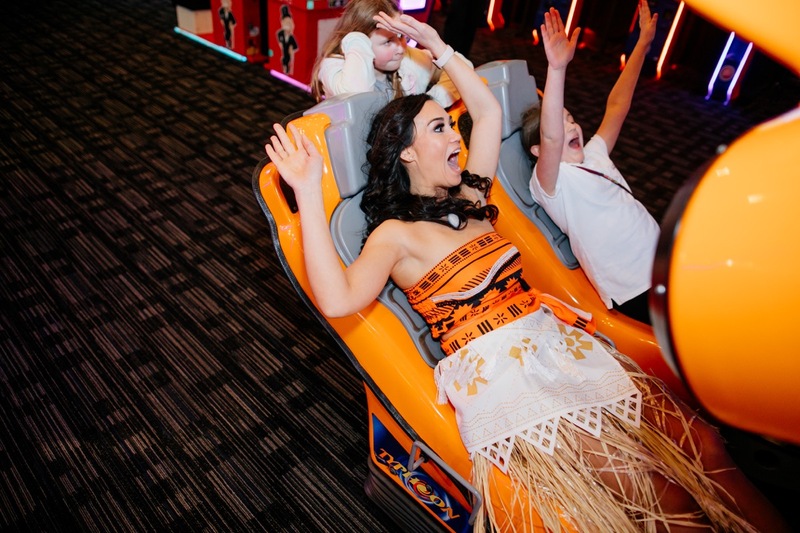 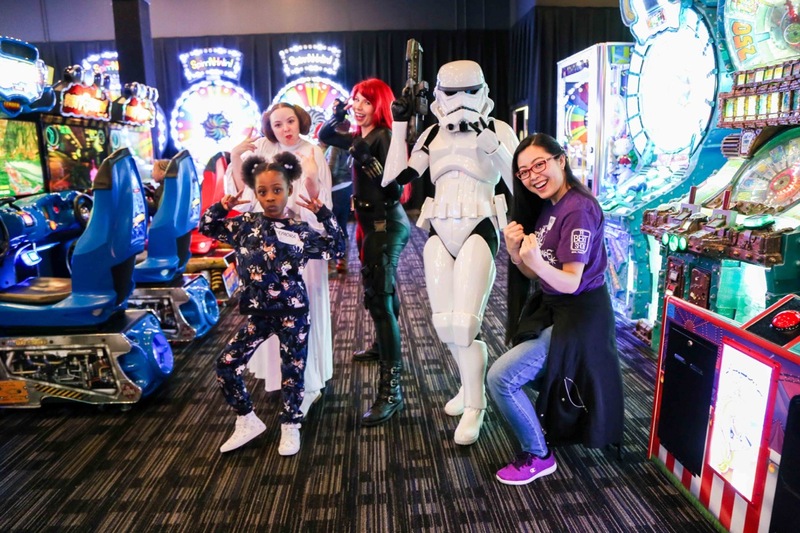 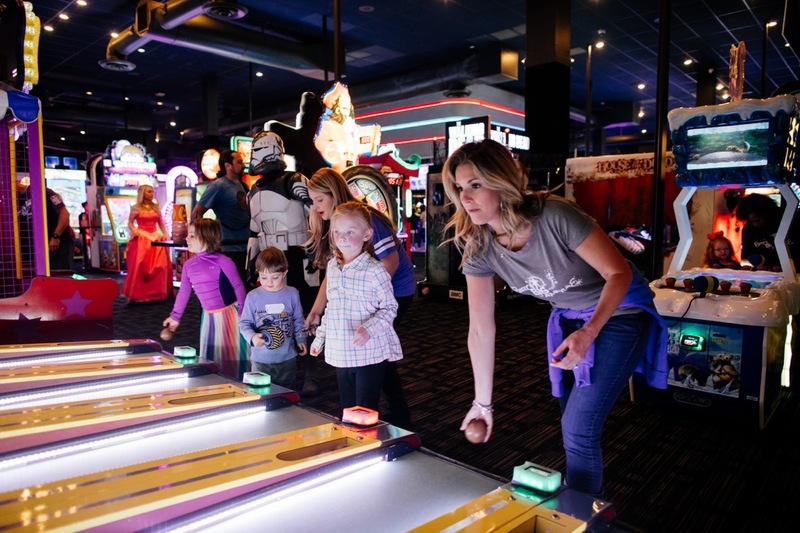 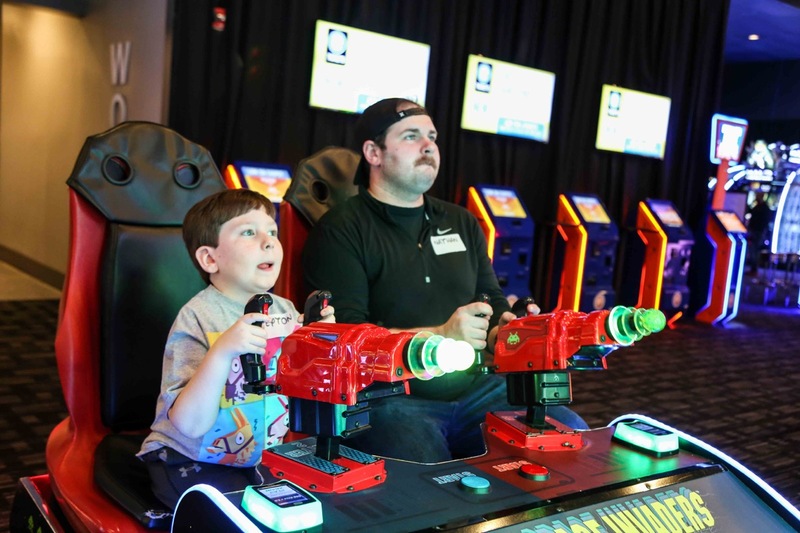 After a delicious dinner, the kids enjoyed unlimited gaming classics including Pac-Man, Skee-Ball, and Pop-A-Shot, along with other more modern entertainment and games in Dave & Buster’s Million Dollar Midway, while the parents learned more about the upcoming trip! 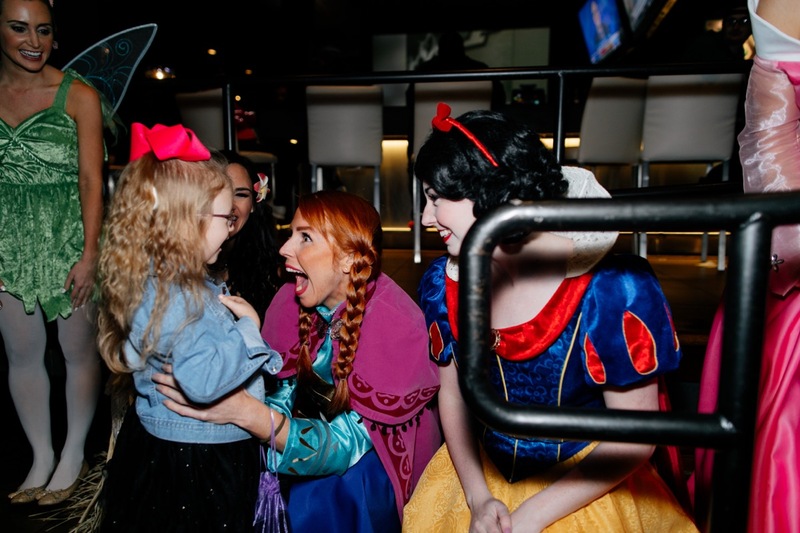 It was a night to remember and just the start of a magical journey for these deserving kids and families. 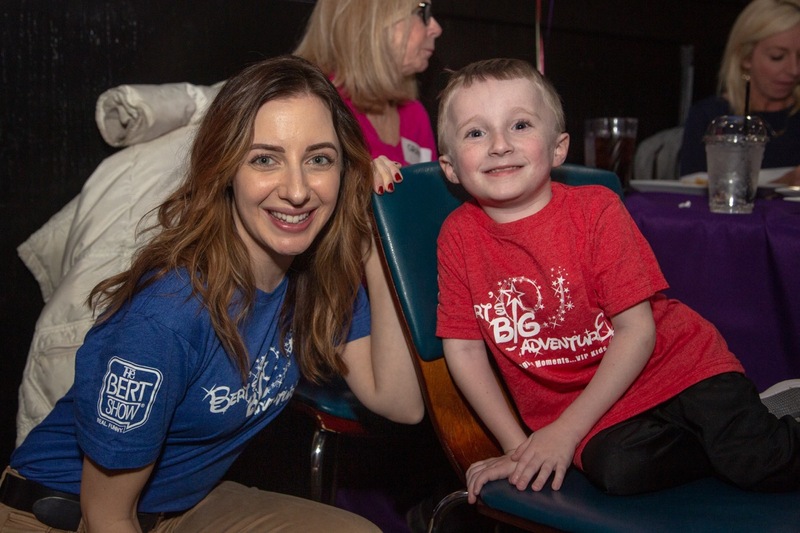 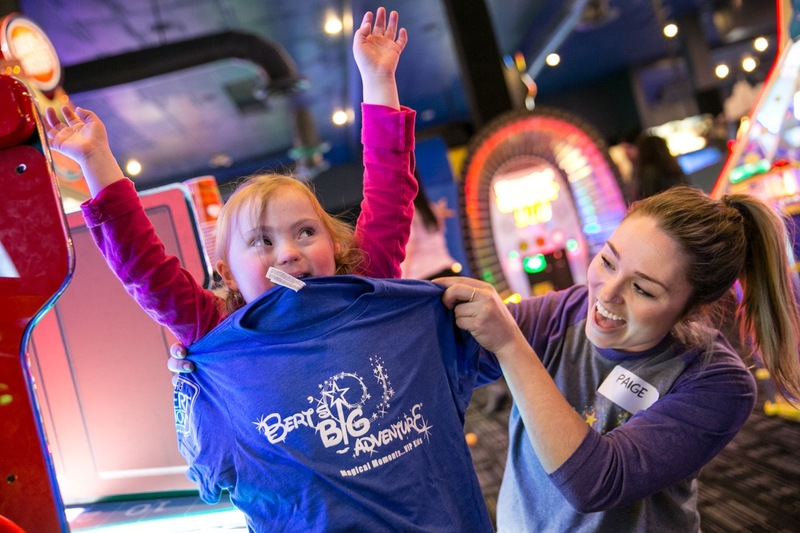 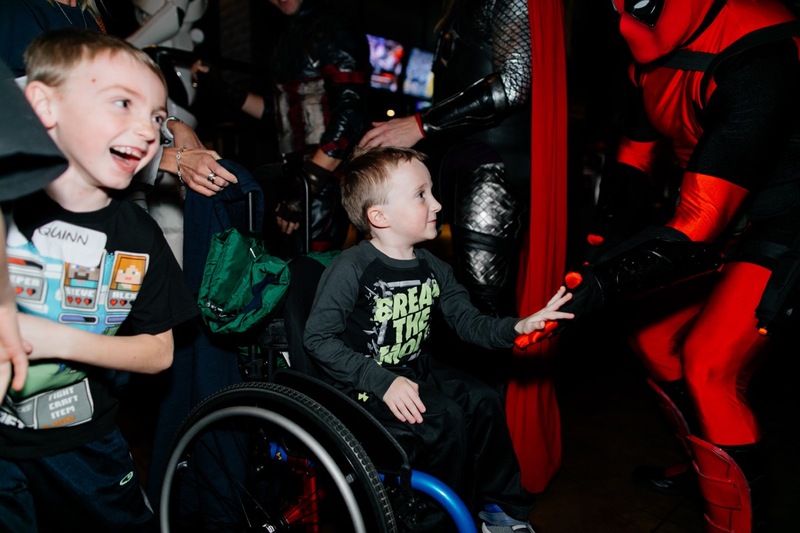 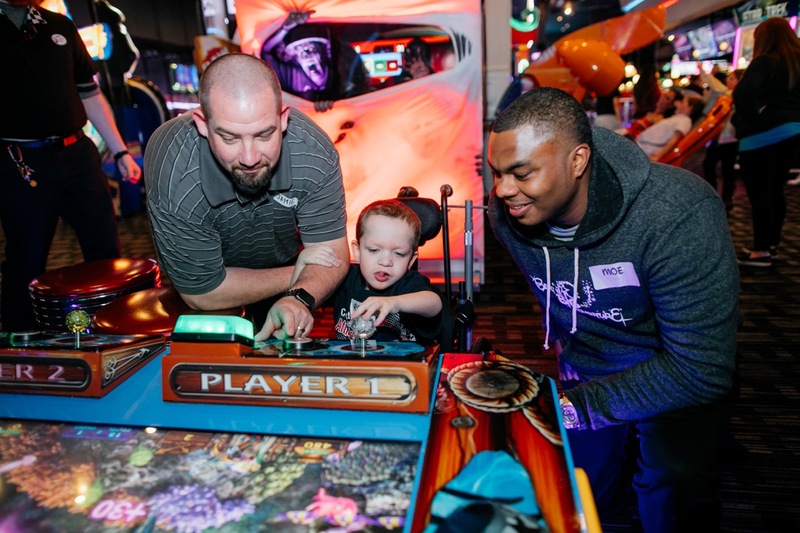 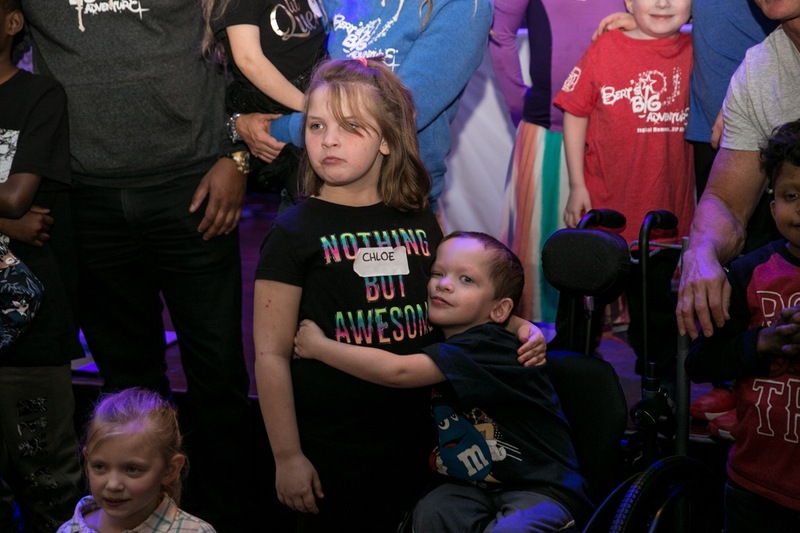 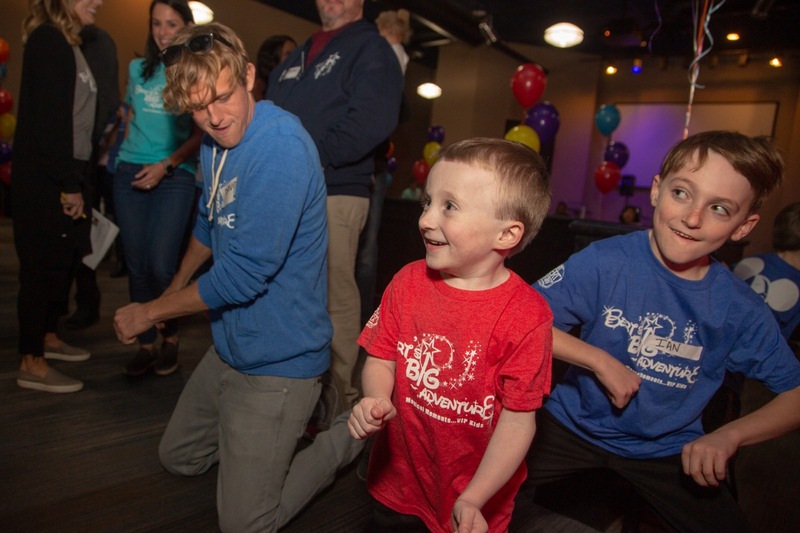 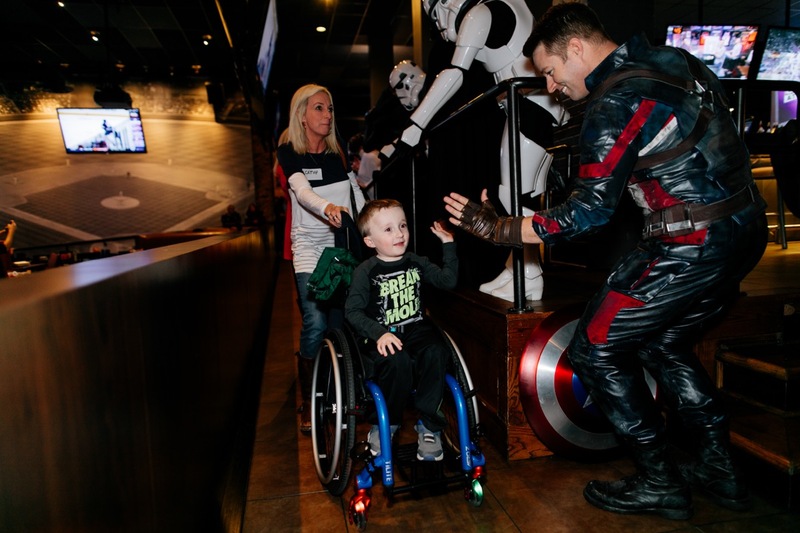 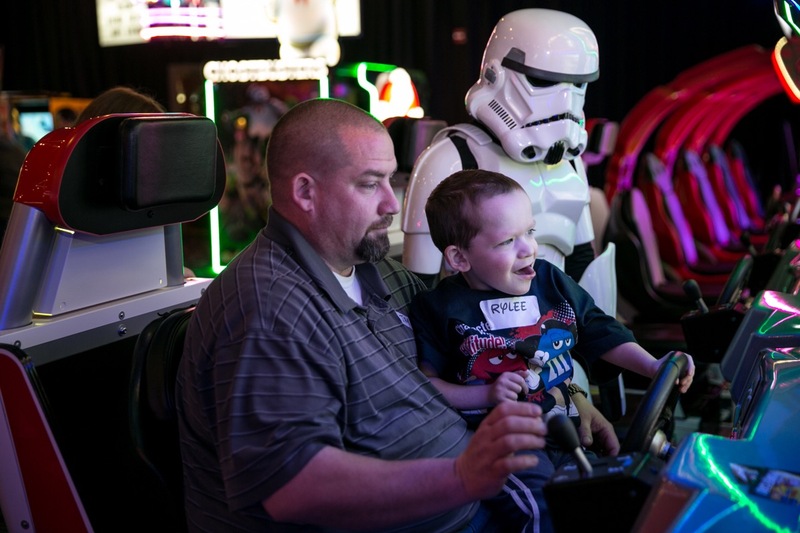 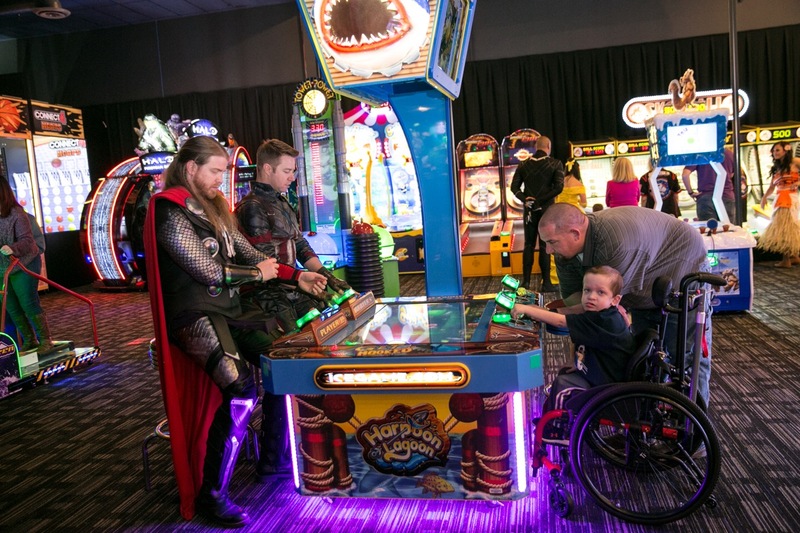 Thank you to Dave & Buster’s of Marietta for generously providing the private VIP room that hosted our amazing #BBA2019 families! 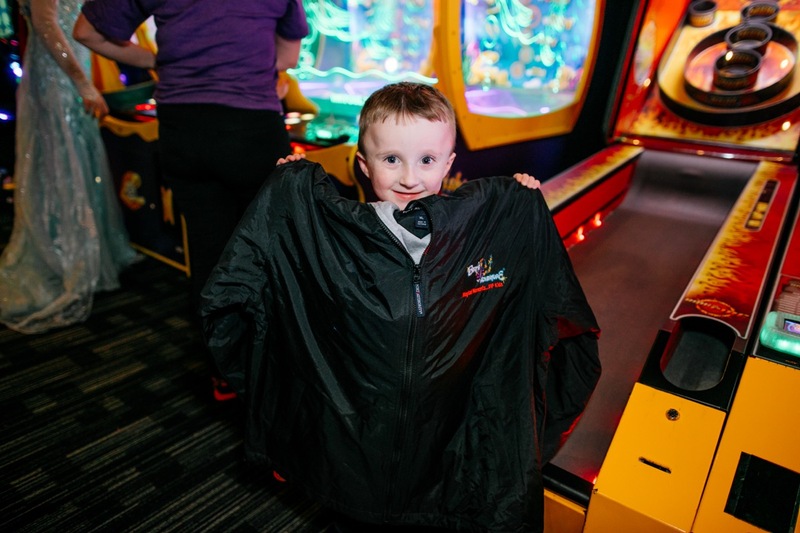 We are also so grateful to LAT Apparel for donating all of our incredibly soft t-shirts for our upcoming trip and to RBM of Alpharetta for generously gifting our trip jackets to keep us warm and our kiddo backpacks to collect all of our Disney souvenirs. 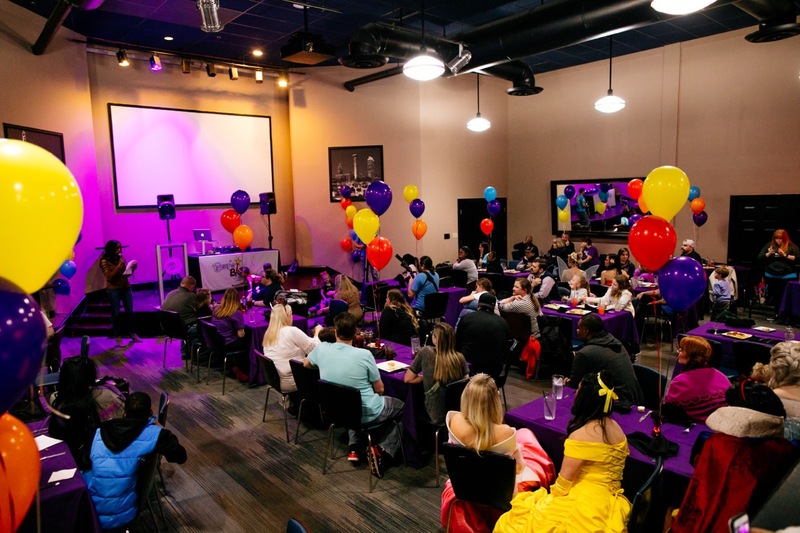 Balloonacy Atlanta created beautiful centerpieces and balloon bundles to decorate our space. 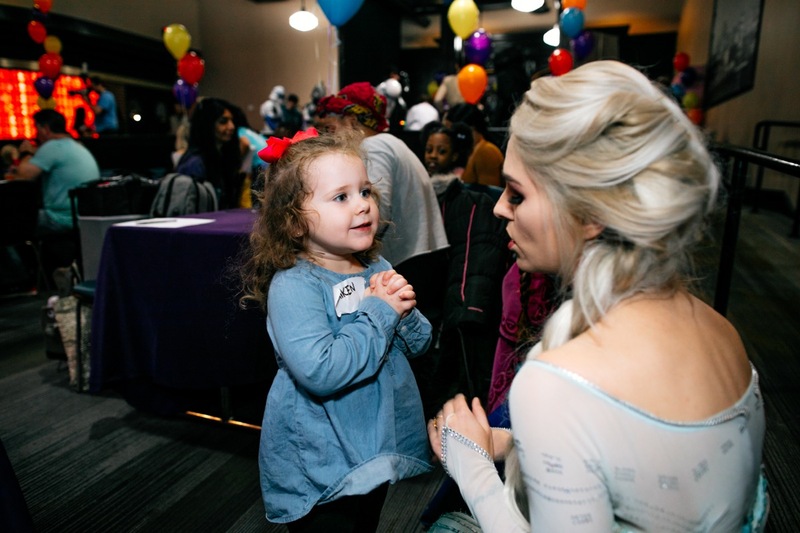 As always, a big thank you to our photographers, Cassandra Young Photography, Sarah Ester Photography, Dash Photography and Davila Photography, and our video team, Troika Studio! 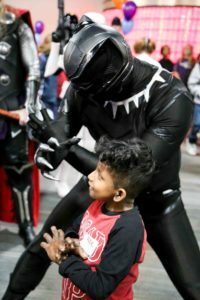 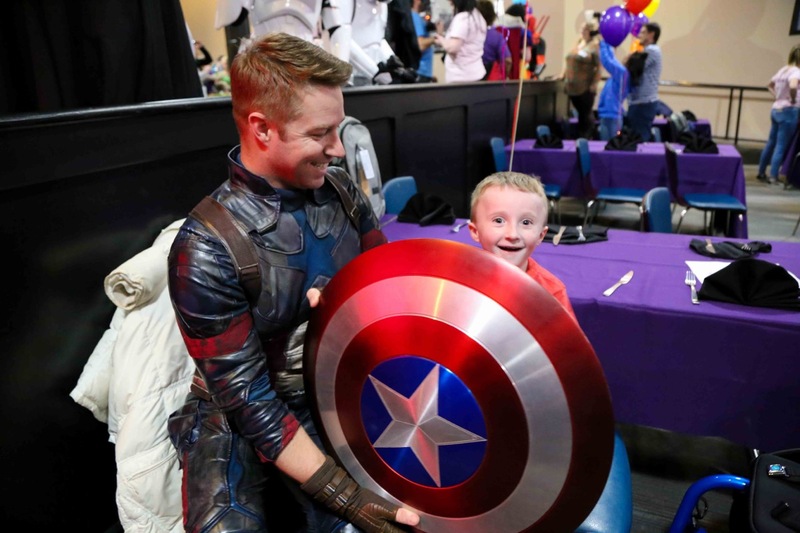 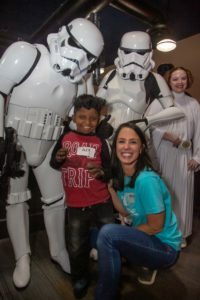 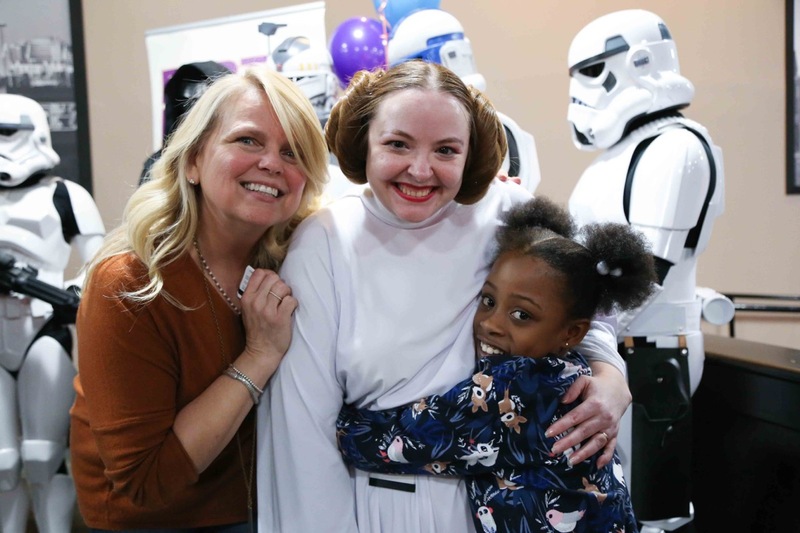 We are so grateful to Cindy Banks Powers for organizing our wonderful costumed characters and the 501st Georgia Garrison for entertaining our kiddos! 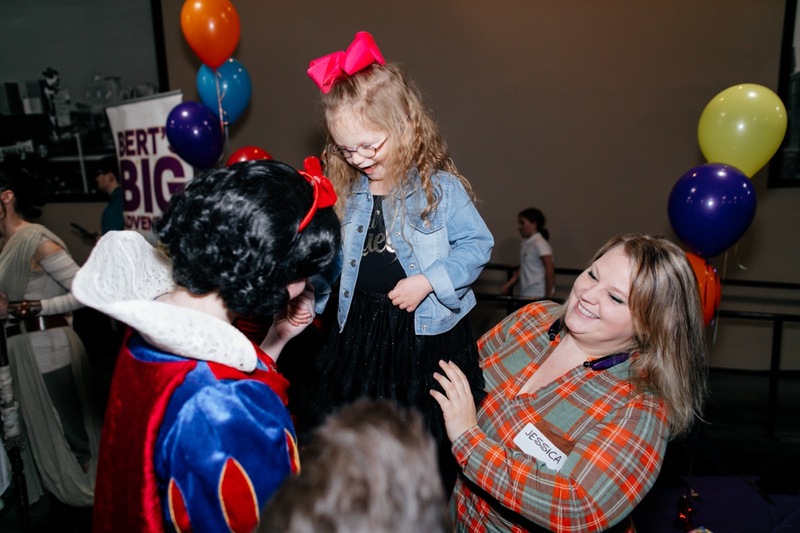 Finally, a big thank you so much to our generous sponsor, Gas South, for supporting our new family orientation!